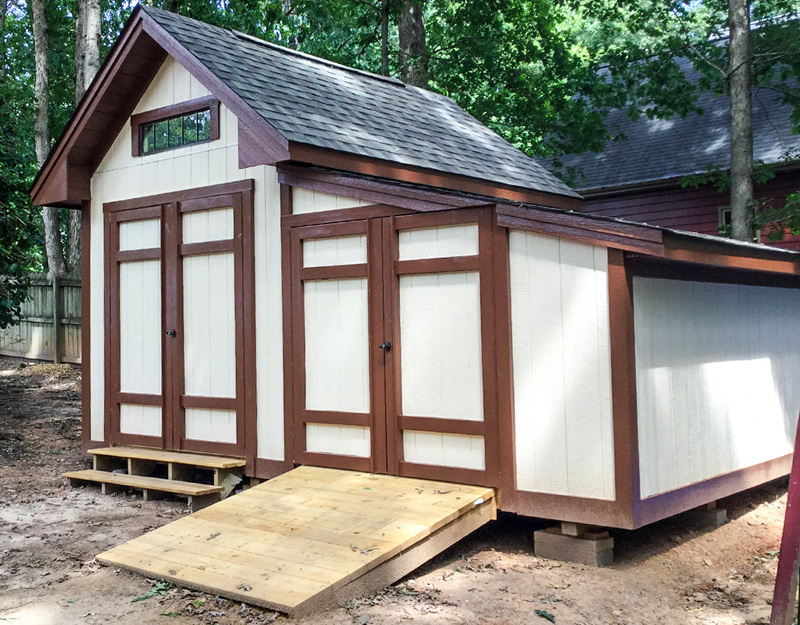 The Contemporary Shed style has been around for a long time and can be seen all throughout North Carolina. 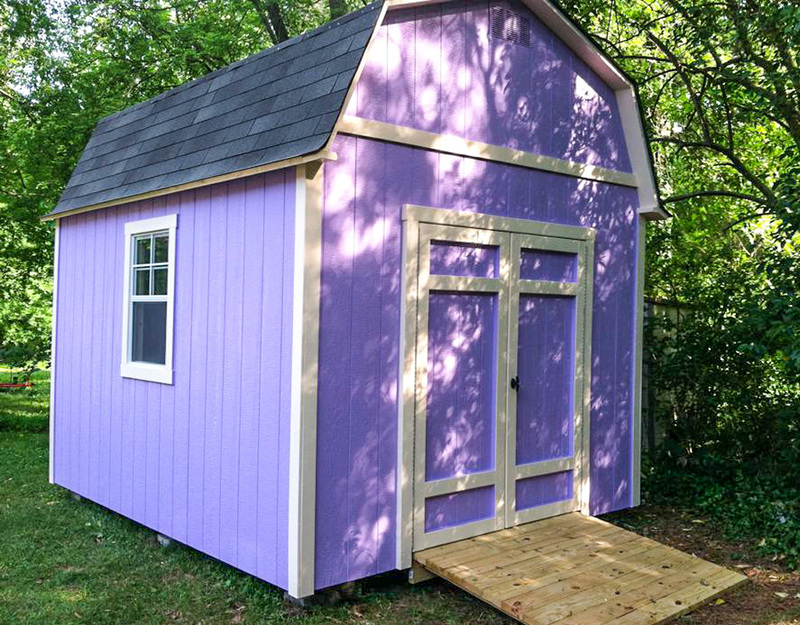 But we’ve given the Contemporary Shed a modern look that will get noticed by your neighbors. 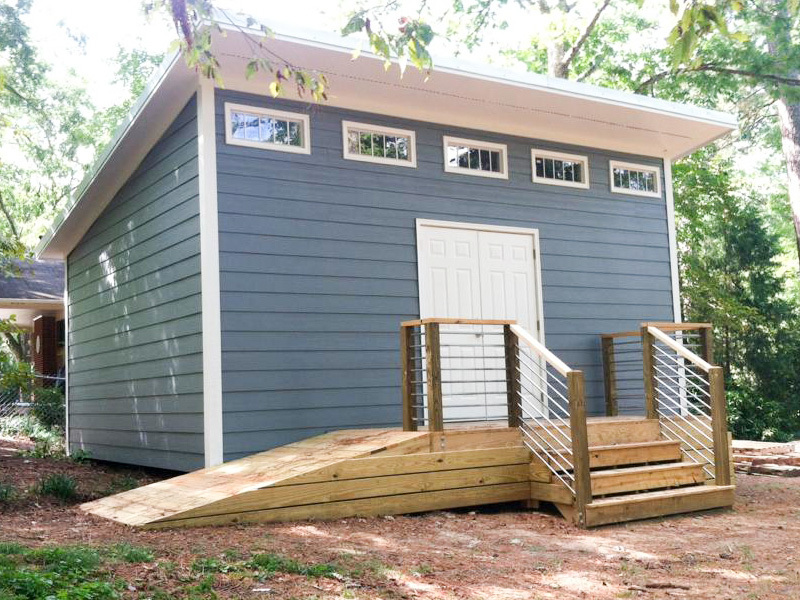 The primary feature of the Contemporary Shed is the single slant roof. 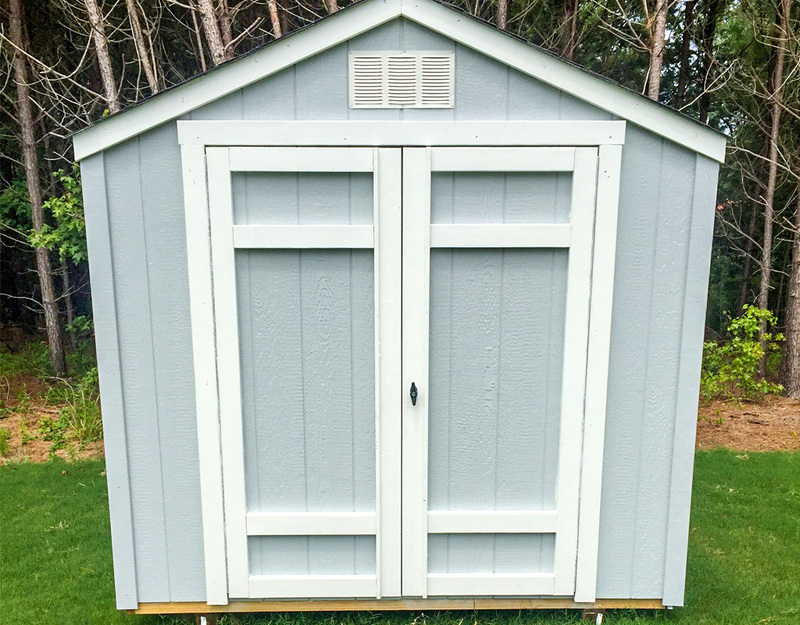 The roof has a gentle 2/12 pitch and comes with 29 gauge metal roofing in the color of your choice. 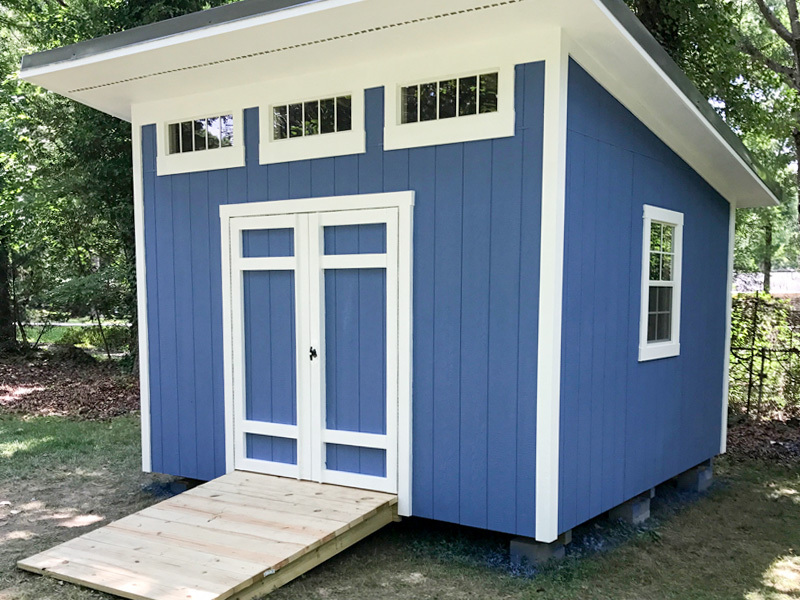 The tall wall includes a set of sturdy double doors as well as transom windows to bring in light and beautify the shed. 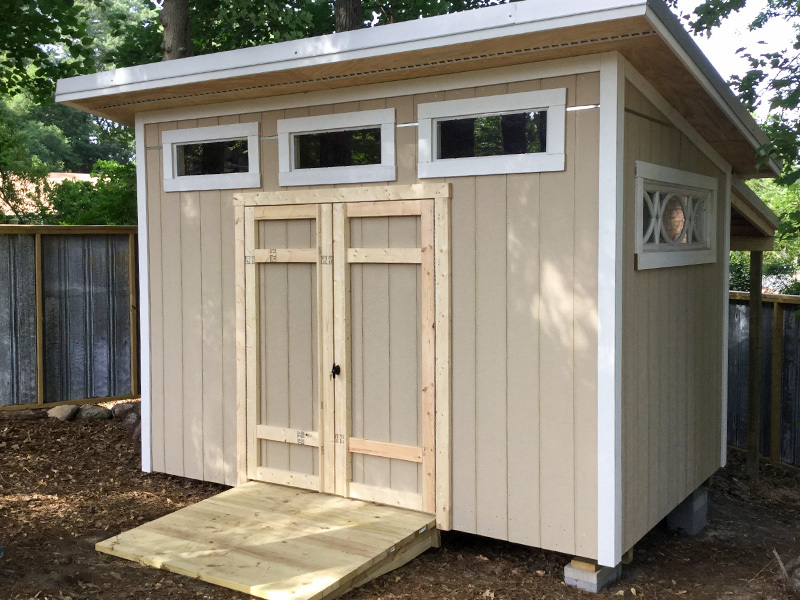 Additionally, we give it 1 ft overhangs on 3 sides and extend the front up to 2.5’ for a great look! 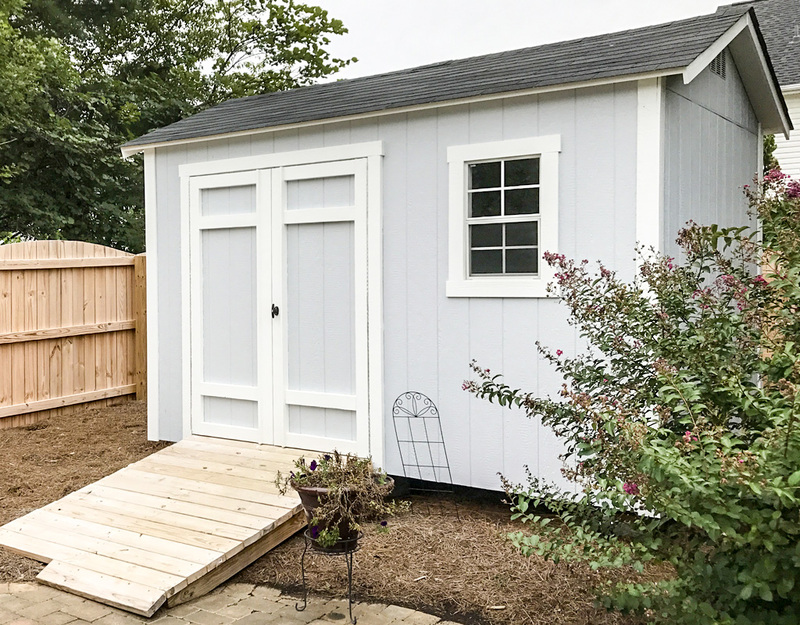 Like our other sheds, the contemporary shed comes with treated floor framing, ¾” Plywood floor boards and 2x4 wall construction. 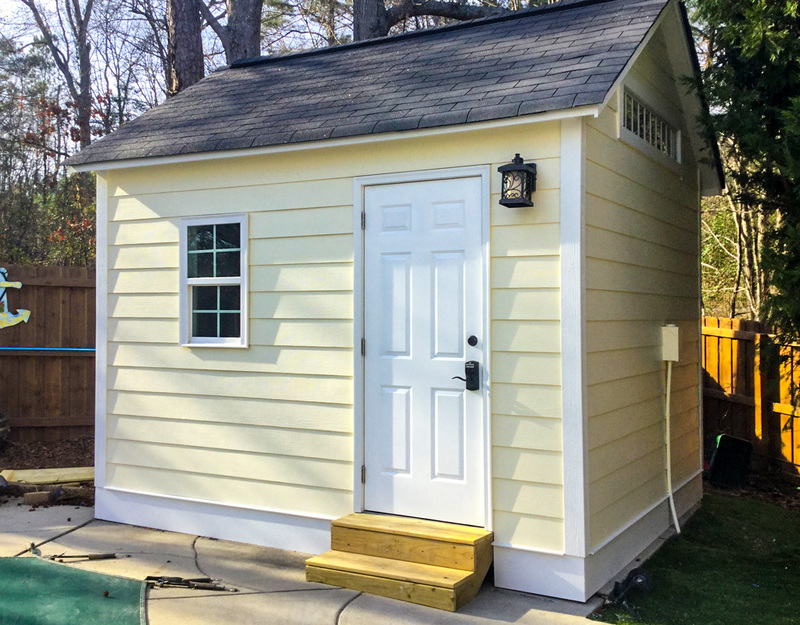 The Contemporary shed comes with 5' double door opening, leveling concrete blocks, LP Smartsiding, Nichia Fiber Cement, James Hardie Plank siding or vinyl siding. 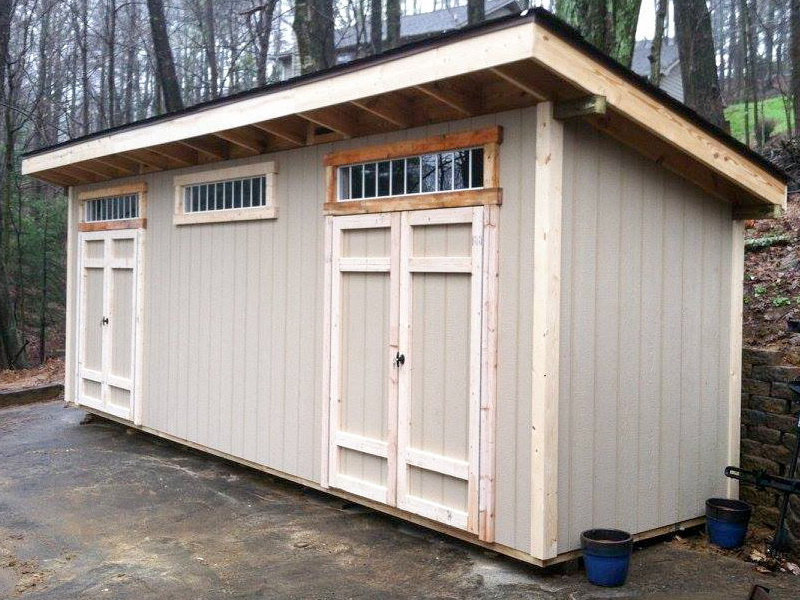 Also, this shed can be modified to fit different styles and looks but with the same general shape. All other sizes and siding materials, call for an estimate.